Welcome to the Silk Road, traveler! Say goodbye to jelly and candy and hello to the dusty Silk Road trail with your sassy camel Matthais. Ancient coins are your new match 3 game tile matching activity as your trade your way across distant lands. Join your friends and become one of the thousands playing our game across iOS, Android, adn Facebook. Find out more on the official site. Are you ready to grab your camel and travel the ancient trade route from Rome to China during the 1st century AD? Trade coins, visit important cities and build your reputation as a master trader. The 6,000km Silk Road will take you from the sunny Mediterranean, through arid deserts, over high mountains and across the Asiatic Steppes. There’s a great fortune to be made here for a skilled trader! Find out why thousands of match 3 players have switched from candy to coins. The game is free to play with in-app purchases for boosts and lives. Building upon Dig-It! Games past work with historically influenced games, players embark on an effort to trade in the Roman, Parthian, Kushan and Han Empires. Players will pack their camel and start solving match 3 puzzles with ancient coins while visiting trading posts, villages and cities along the trail. Did we mention guards! At each new empire our camel and the player will be greeted by a guard requiring credentials to cross into the next empire. Players must have accrued enough stars to be enter the next set of match 3 puzzle levels. 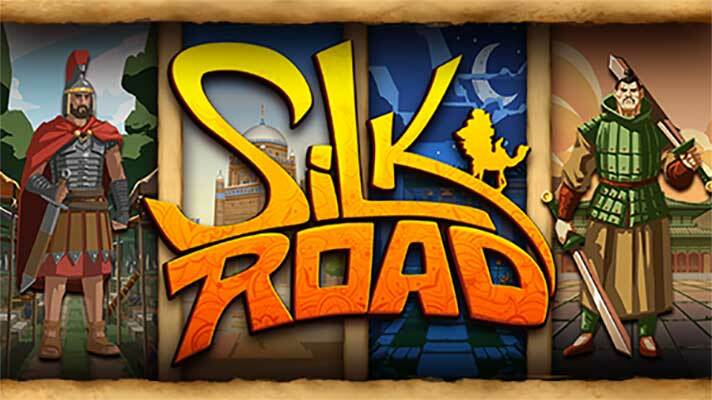 Kick the candy habit and get your legs stepping down the Silk Road in this fun new match 3 game! Matthias is packed and ready for you so what is stopping you from starting the adventure to becoming a famous trader? Visit our official game page for updates and additional information.